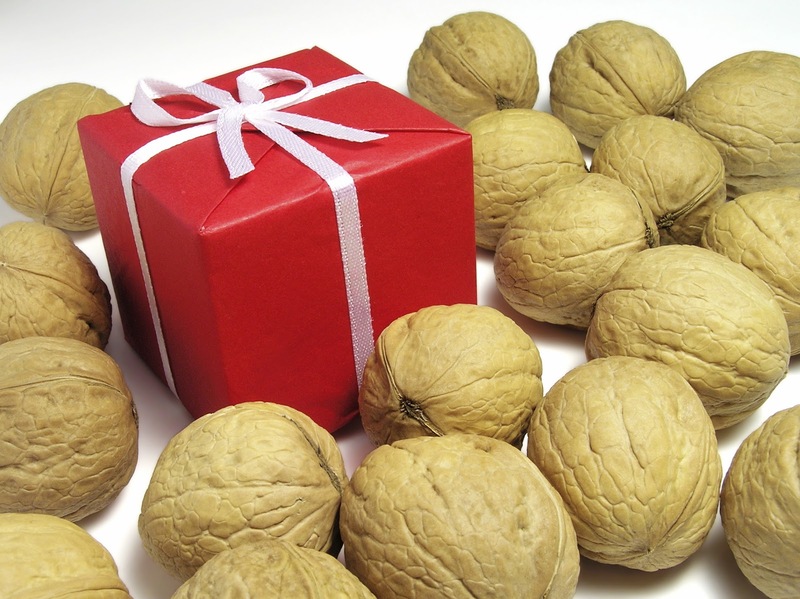 Want to give healthier gifts to the people you care about this holiday season? Consider one of the following ideas aimed at boosting activity, eating well and feeling good! 1. Activity tracker – Whether you opt for a basic pedometer or a more sophisticated wireless device that also monitors the wearer’s sleep cycles, keeping track of things like distance walked, steps taken and calories burned is a great motivator. 2. Gourmet nuts – Nuts are a good source of plant protein and are high in dietary fiber, which makes them a filling snack. In moderation, they’ve been shown to reduce the risk of heart disease and lower “bad” cholesterol levels. 3. Subscription to a health or fitness magazine – Some popular titles include Men’s Health, Runner’s World, Shape, Cooking Light and Prevention. 4. Group fitness classes – Consider buying a gift certificate from a local gym so that a friend or family member can try out classes like Zumba, spinning, yoga or pilates. 5. Vegetable or herb garden kit – Encourage loved ones to prepare natural, healthy meals using home-grown herbs or vegetables. Look for options that can be grown indoors for easy access from the kitchen. 6. Exercise, outdoor sports or camping equipment – Giving gifts to be used outside when the weather warms up can encourage children and adults to stay active all year. 7. Dark chocolate – Eating a small amount of dark chocolate every day may help to curb cravings for both sweet and salty foods. Its antioxidants also combat free radicals, the destructive molecules that are implicated in heart disease and other ailments. 8. Interactive video games – When playing or exercising outdoors is out of the question, movement-oriented video games may be a fun alternative. 9. Food steamer – Steaming is one of the healthiest ways to cook a variety of foods. Steamers come in multiple sizes and are made of several materials suitable for stovetop, countertop or microwave cooking. 10. Foot massager – For those who are on their feet at work (or have been standing in line to purchase holiday gifts!) a foot massager might be the perfect thing to relieve pain and reduce stress. “Whether you love or hate the winter season, the combination of short days, cold temperatures, wind, snow and ice often takes a toll on our immune systems,” says Robin Motter-Mast, DO, primary care physician for GBMC at Hunt Valley. “Fortunately, there are many simple, inexpensive things we can do to ward off illness.” She offers the following tips for staying healthy throughout the winter months when sore throats, sniffles and the flu seem to be everywhere. Wash your hands frequently for at least 20 seconds with warm, soapy water. Get a flu shot (except children under 6 months and adults who have experienced severe reactions to flu shots or who are allergic to eggs). Exercise 30-60 minutes per day on most days of the week. 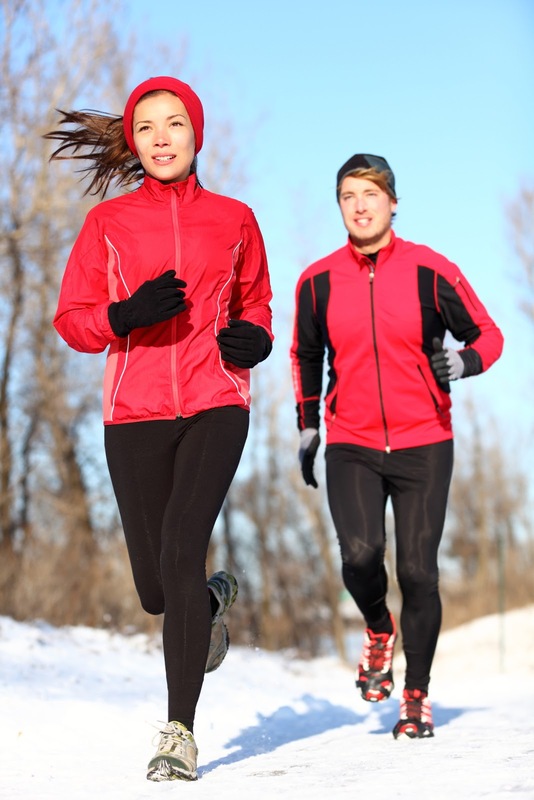 Regular exercise keeps your immune system healthy so it can effectively fight infections. Plus, maintaining strength and flexibility helps to prevent injury from slips, trips and falls. Strive to eat five servings of fruits and vegetables each day, and try to avoid eating processed foods. Aim to sleep for 7-8 hours each night. Getting enough sleep is another way to boost the immune system and prevent stress. Consider taking Vitamin D supplements. Dr. Motter-Mast also notes the importance for patients to talk with their physicians before making significant lifestyle changes. “Your doctor knows your medical history and can tailor a wellness plan around your specific health needs,” she says. Many of GBMC’s primary care physicians are currently accepting new patients. To find the doctor that is right for you, visit www.gbmc.org/mydoctor or call 443-849-GBMC (4262). Sweet Alternatives - Is Natural or Artificial Right for You? 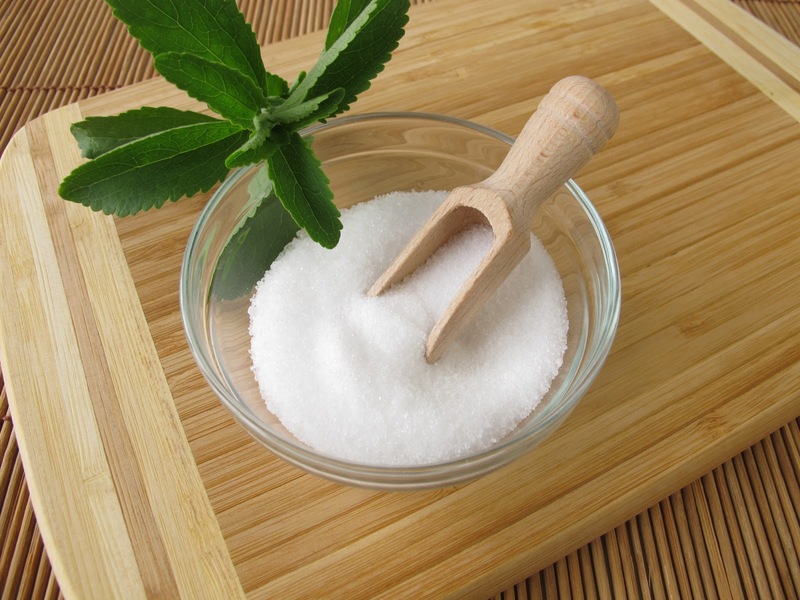 Table sugar (glucose) is natural, but it has about 45 calories per tablespoon in addition to carbohydrate content. It has a moderate effect on glycemic index, which measures how fast a food raises your blood sugar. Stevia (found in Truvia®) is a natural alternative that comes from the leaves of the stevia plant and has no effect on glycemic index. It is calorie free, sweeter than sugar and is regarded as safe by the FDA. However, there hasn’t been much research regarding the long-term effects of stevia on the body. Saccharine and aspartame are other artificial sweeteners. Saccharine has been shown more definitively than aspartame to be correlated with cancer, but aspartame, which is much more widely used than saccharine, continues to be studied. With 120 members of our medical staff named to the 2012 list in 60 different specialties, we are proud to say that our numbers keep growing. GBMC has more physicians recognized than ever before–still more than any other community health system or hospital in the region! To compile this year’s list, the publication surveyed nearly 10,000 area physicians to learn where they would send a member of their family for care. This question mirrors GBMC’s vision of providing each patient with care worthy of our own loved ones. 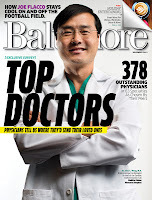 A full list of recognized physicians is available at www.gbmc.org/topdoctors2012. To find a physician that is right for you and your loved ones, simply visit www.gbmc.org/findadoc, or call 443-849-GBMC (4262). 2. To prepare crust, weigh or lightly spoon flour into a dry measuring cup; level with a knife. Combine flour and next 5 ingredients (through cinnamon) in a medium bowl, stirring well with a whisk. Drizzle butter and juice over flour mixture, stirring until moistened (mixture will be crumbly). Reserve 1/2 cup oat mixture. Press remaining oat mixture into the bottom of an 11 x 7-inch baking dish coated with cooking spray. 3. 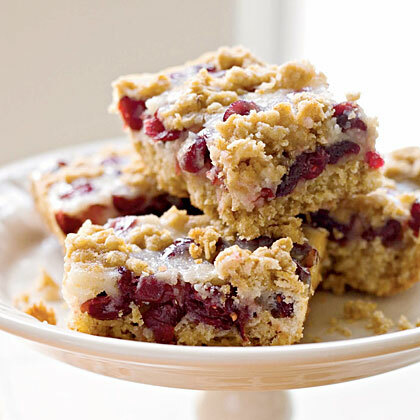 To prepare filling, combine cranberries, sour cream, granulated sugar, and remaining ingredients in a medium bowl, stirring well. Spread cranberry mixture over prepared crust; sprinkle reserved oat mixture evenly over filling. Bake at 325° for 40 minutes or until edges are golden. Cool completely in pan on a wire rack.